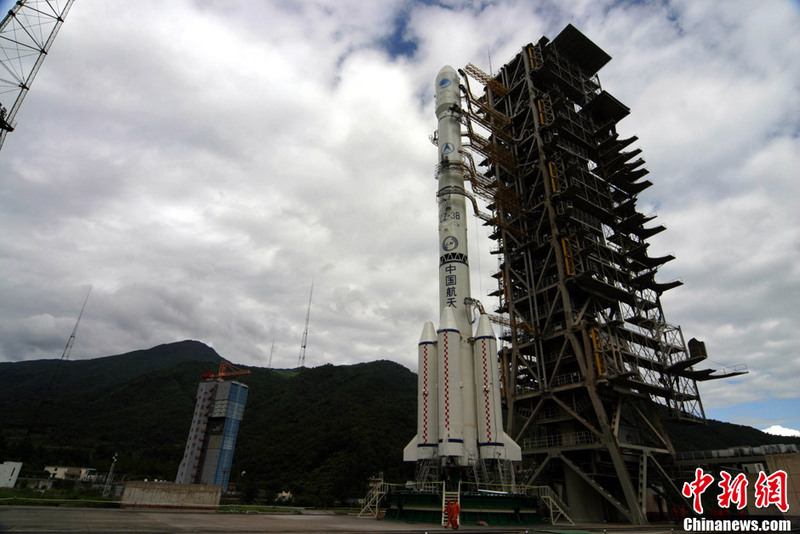 The Long March 3B launch vehicle is the heavy-lifter in China’s fleet of Long March (CZ) rockets. It is based on the CZ-2E and 3A launch vehicles featuring an additional Cryogenic Upper Stage. CZ-3B and its enhanced version, CZ-3B/E, are primarily used to launch satellites into Geostationary Transfer Orbit Trans-Lunar Trajectories. 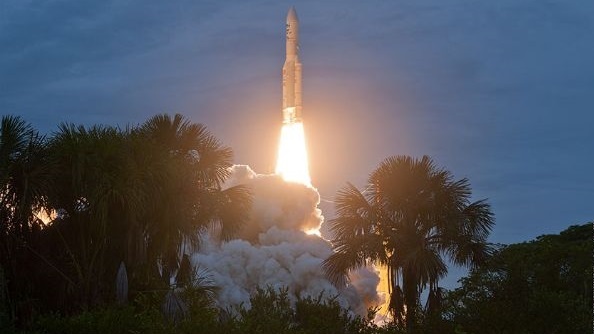 The Long March 3B began development in the second phase of the CZ-3A upgrade program to meet the needs of the international GEO communications satellite market. Development started in 1986 and started out with the CZ-3A design & adding four boosters to the first stage and improving control systems. Long March 3B launched on its maiden mission on February 15, 1996, a day that would live down in history as one of the worst space flight disasters in China. Two seconds after liftoff, the Guidance Control System of the launch vehicle experienced a failure and caused the rocket to veer off course. 22 seconds after liftoff, the vehicle crashed 1,200 meters from the launch pad, exploding on impact. The explosion killed at least six people and left 57 injured, also destroying 80 buildings in a nearby village. The failure was traced back to a gold-aluminum solder joint within the gyro servo loops causing a loss of power leading to the inertial guidance platform of fail. Coming back from this major mishap, Long March 3B made its first successful launch on August 20, 1997 delivering the Agila 2 MABUHAY communications satellite to Geostationary Transfer Orbit. A number of successful missions of the CZ-3B followed, however, the vehicle was not able to establish its role on the commercial satellite market. In 2007, the Long March 3B/E made its inaugural flight. It features stretched booster and first stage tanks to increase the vehicle’s GTO capability by 400 Kilograms. The Long March 3C launch vehicle is based on the CZ-3B, removing two of its boosters in order to bridge the gap in payload capacity between the Long March 3A and 3B. 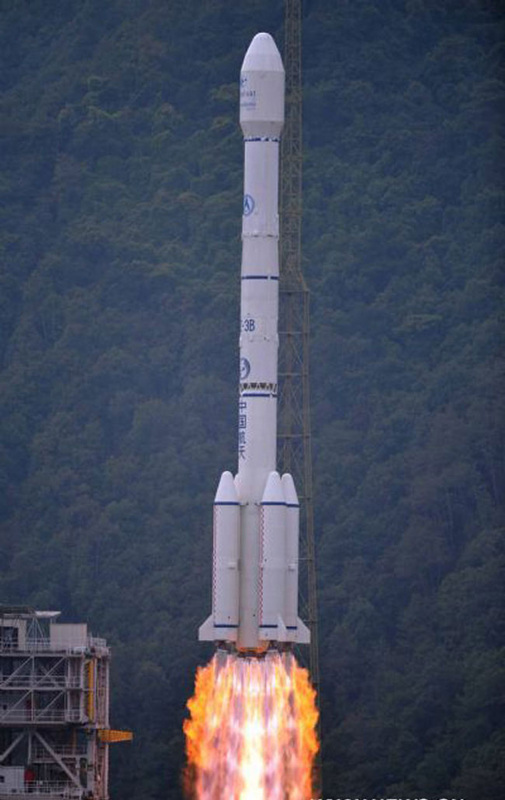 Long March 3B/E stands 56.33 meters tall with a core diameter of 3.35 meters and a launch mass of 456,000 Kilograms consisting of two lower stages that use hypergolic propellants and a cryogenic upper stage. Around the first stage of the vehicle, four liquid-fueled boosters are clustered. 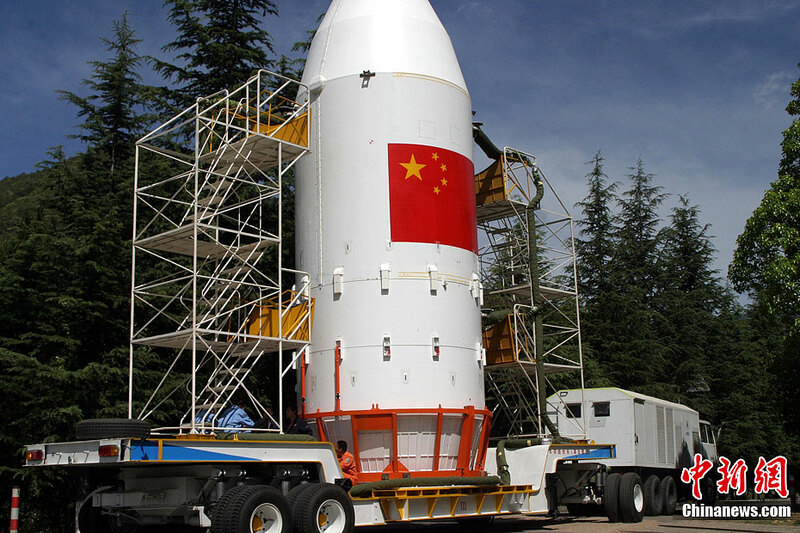 The vehicle is operated from the Xichang Satellite Launch Center. The boosters, first and second stage use storable propellants, Unsymmetrical Dimethylhydrazine and Nitrogen Tetroxide while the third stage uses cryogenic propellants, Liquid Hydrogen and Liquid Oxygen. CZ-3B/E can deliver payloads of over 12 metric tons into Low Earth Orbit, 5,500 Kilograms into Geostationary Transfer Orbit and 3,500 Kilograms into Heliocentric Orbit – making it suitable for GTO launches of heavy communications satellites as well as launches of scientific craft with targets beyond Earth orbit. 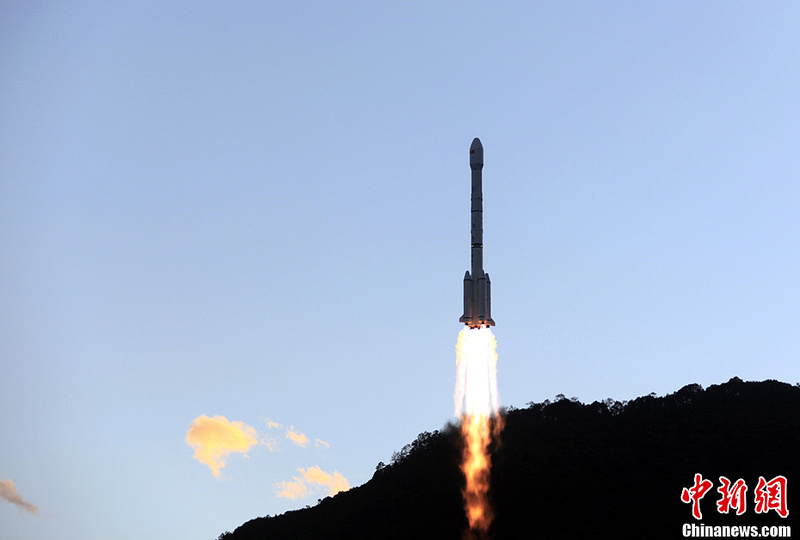 Long March 3B/E uses four liquid-fueled boosters that are attached to the first stage to provide extra thrust during the initial portion of the flight. 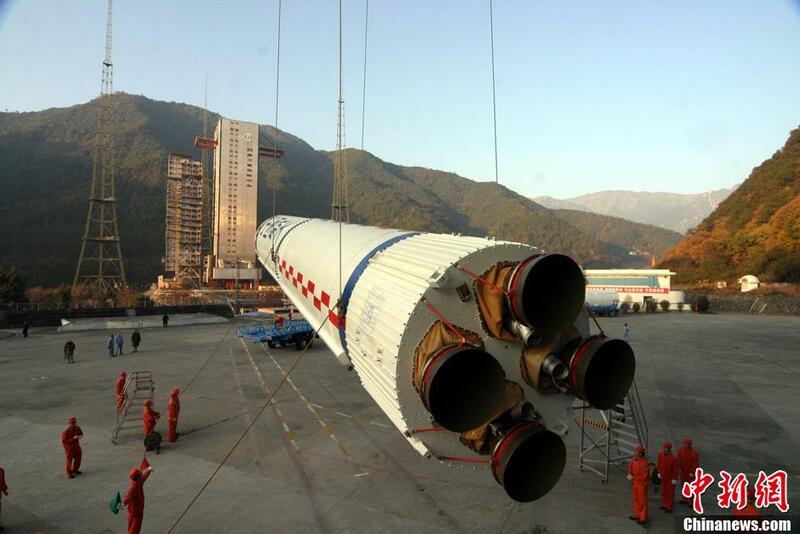 The boosters are 72 centimeters longer than those of the Long March 3B. 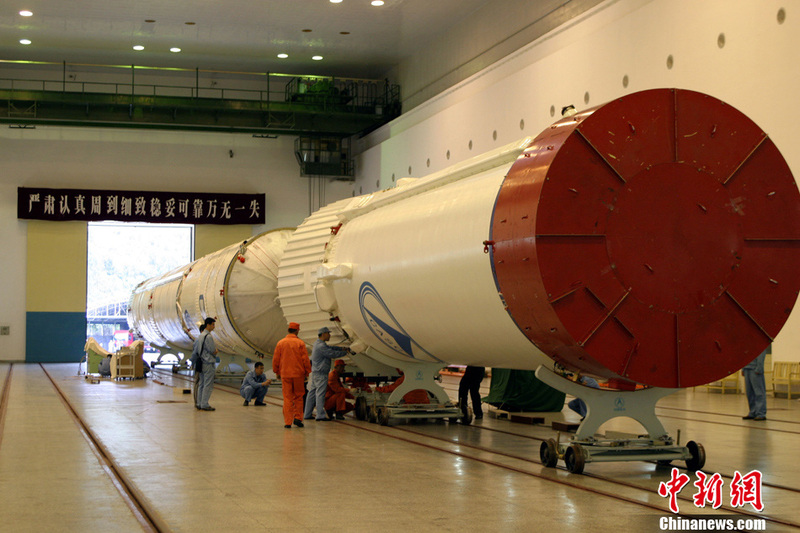 With the boosters attached to the first stage, the Long March 3B/E has a span of nearly 8 meters. Each booster is 16.09 meters long and 2.25 meters in diameter, containing the oxidizer tank (NTO) above the fuel tank (UDMH). The two tanks are separated by their own bulkheads and the NTO line runs through the UDMH tank below to provide oxidizer to the engine. Each of the boosters has an empty mass of 3.2 metric tons, holding a propellant load of 41,100 Kilograms. Each of the boosters is equipped with a single DaFY-5-1 engine which is an YF-20-type engine that provides 740.4 Kilonewtons (75,500 Kilogram-force) of sea level thrust operating at a chamber pressure of 71 bar with an engine diameter of 0.84 meters. Vacuum thrust of 813 Kilonewtons. The engine features individual plumbing equipment and turbopumps for the fuel and oxidizer that are injected into the combustion chamber. A gas generator and heat exchanger supplies pressurant gas to the propellant tanks to keep them at proper flight pressure levels. The boosters are attached to the first stage via four attach points – three in the front and one in the aft section of the booster. After burning for 140 seconds, the four boosters are shut down and the four pyro mechanisms are fired to separate the boosters. 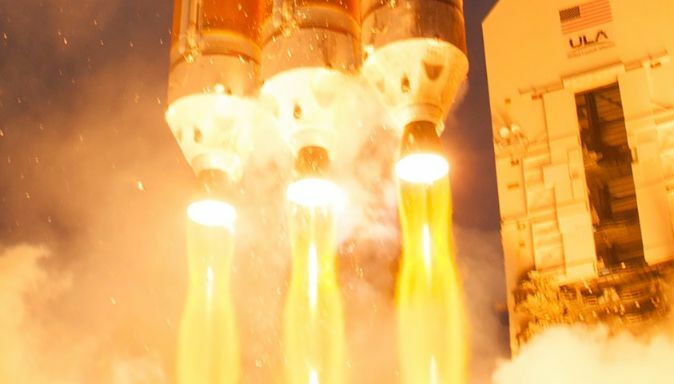 To ensure a clean separation, each booster is equipped with four small retrorockets that ignite at the moment of separation to push the boosters away. Each booster is equipped with a single fin that provides stability during atmospheric flight. 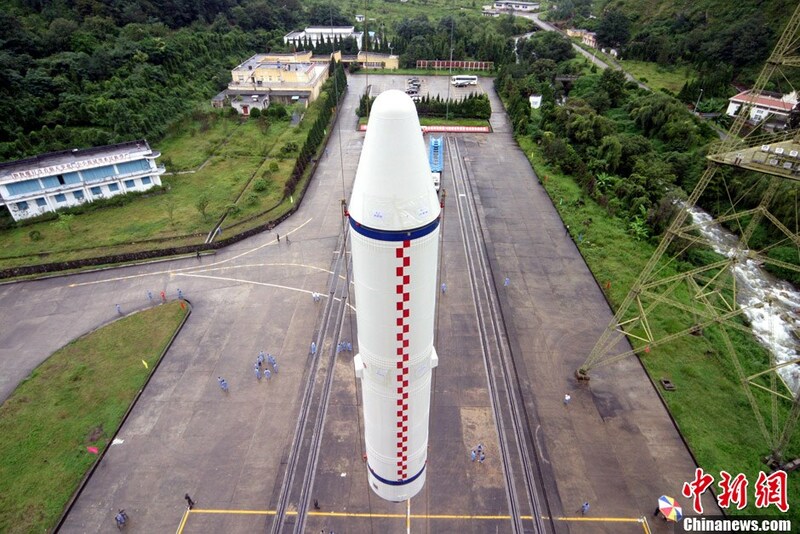 The large first stage of the Long March 3B/E is 24.76 meters long (1.49m longer than that of CZ-3B) and 3.35 meters in diameter, also following the basic design with the oxidizer tank located above the fuel tank. The tanks use individual bulkheads which create a small inter-tank area that is used to facilitate equipment. The NTO line is again routed through the fuel tank to reach the engines. The core stage has an inert mass of over 12.5 metric tons and carries a propellant load of 186,200 Kilograms, also using NTO and UDMH. First stage propulsion is provided by a DaFY-6-2 engine which is a cluster of four DaFY-5-1 engines that are also used on the boosters. The four engines provide a total sea level thrust of 2961.6 Kilonewtons (302,000 Kilogram-force). Vehicle control during first stage flight is accomplished by individually gimbaling the four engines. The first stage has a burn time of 146 seconds. Stage separation uses the hot-staging technique. 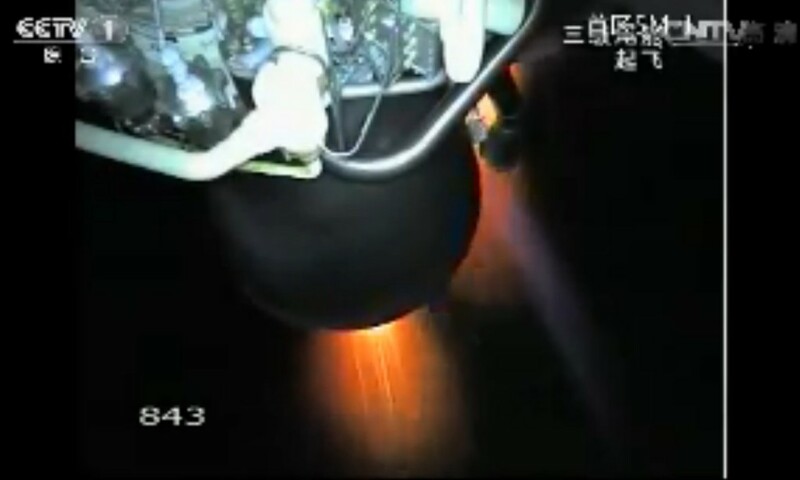 The second stage vernier engine is ignited before first stage cutoff. Moments after shutdown of the first stage, 14 Pyro Bolts are fired to severe the attachment of the first and second stage to allow the first stage to be pushed away by the exhaust of the vernier engine. A short time later, the second stage ignites its main engine to continue powered flight. The CZ-3B second stage also uses hypergolic propellants stored in two separate tanks with the oxidizer tank located above the fuel tank and the associated oxidizer line routed through the UDMH tank. The stage is 12.92 meters long and shares the first stage’s diameter of 3.35 meters. It has an empty mass of 3,850 Kilograms and is loaded with 49,400 Kilograms of propellants that are consumed by a single DaFY-20-1 main engine and a four-chamber DaFY-21-1 vernier engine. The DaFY-20-1 main engine is a version of the YF-22 engine. It is about one meter in diameter featuring an extended nozzle, optimized for operation in vacuum. The engine provides 742 Kilonewtons of thrust (75,660 Kilogram-force). It features a similar design to the first stage engines with individual turbopump equipment and plumbing for the oxidizer and fuel. Propellant tank pressurization is provided by A gas generator and heat exchanger supply pressurant gas during the combustion process. The DaFY-21-1 vernier engine is connected to the main propellant feed lines and includes its own turbopumps spun by a single turbine as part of a open-cycle gas-generator engine design. Four chambers are fed by the turbopumps, each providing 11.8 Kilonewtons of thrust (1,200 Kilogram-force). The nozzles can be gimbaled individually to provide vehicle control during flight. The second stage main engine burns for 178 seconds while the vernier engine operates six seconds longer due to hot-staging. Stage separation between the second and third stages is accomplished by pyrotechnic bolts. 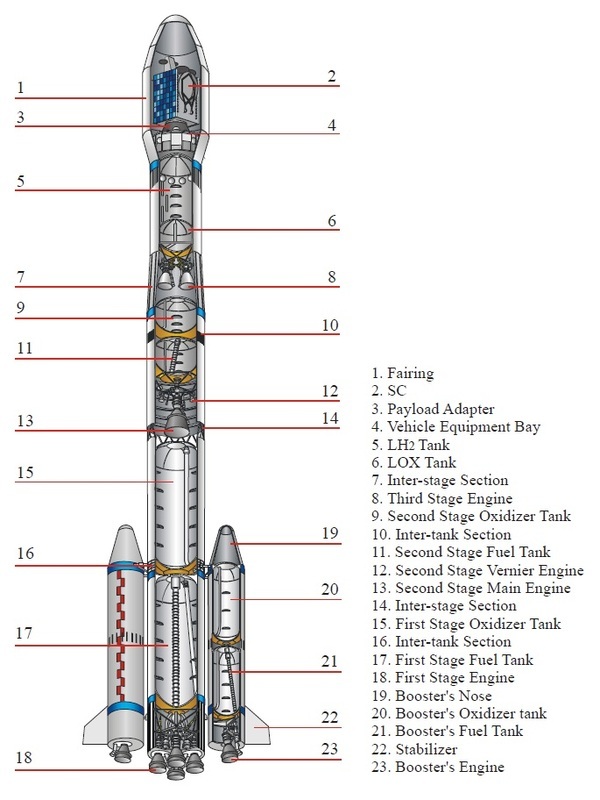 The second stage is equipped with retrorockets to safely move it away from the upper stage. 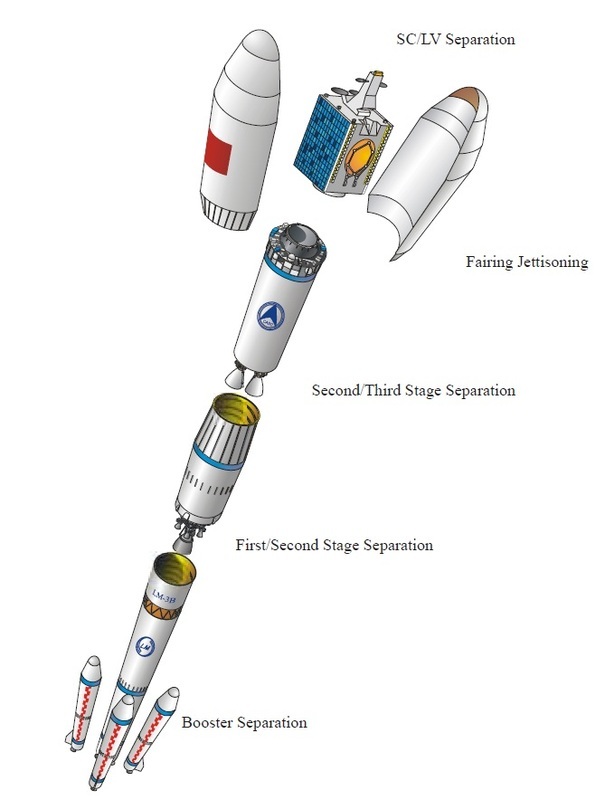 Long March 3B uses a cryogenic upper stage that provides re-ignition capability to perform GTO or interplanetary insertions. Overall, the stage is 12.38 meters long with a reduced diameter of 3.0 meters having an inert mass of 2,740 Kilograms. The third stage carries a total propellant load of 18,193 Kilograms of Liquid Hydrogen and Liquid Oxygen. The third stage is equipped with an YF-75 cluster of two cryogenic main engines providing a total vacuum thrust of 156.9 Kilonewtons (1,600 Kilogram-force) operating at a chamber pressure of 37.6 bar. The engines are optimized for operation in vacuum conditions with an area ratio of 80:1. Two allow CZ-3E to fly GTO missions, the engine can re-ignite on a second burn following an initial boost into a Parking Orbit. This second burn then delivers that vehicle to its elliptical GTO or escape trajectory. The engines can be gimbaled for vehicle control. Third stage propellant tank pressurization is accomplished using high-pressure Helium for the LH2 tank and a combination of Helium and gaseous LOX. The third stage is equipped with a monopropellant Propellant Management and Attitude Control System. The Propellant Management System is used for propellant settling burns ahead of main engine burns. The system consists of two 300-Newton thrusters and two 45-Newton thrusters. 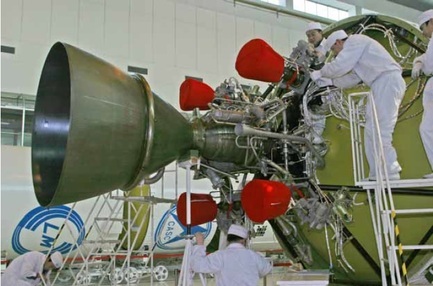 In addition to propellant management, the thrusters are also used for performance optimization during engine burns and for a variable Velocity Adjustment after the second burn of the upper stage to optimize the insertion trajectory. The Attitude Control System of the third stage is used during coast phases for vehicle re-orientations and to orient the stack for spacecraft separation. It consists of three banks of thrusters, one for each axis. Pitch control is provided by two 70-Newton and two 40-Newton thrusters. For Yaw-actuation, the system also uses two 70N and two 40N jets. Roll control is provided by four 40N thrusters. Atop the third stage sits the Vehicle Equipment Bay that includes the main electronics, the Guidance, Navigation and Control equipment and communications system. The third stage uses two beacons and a single transponder for tracking and range safety. Two antennas are used for telemetry relay. The control system consists of a guidance unit, attitude control system, sequencer, power distributor and other components. It adopts a four-axis inertial platform, on-board computer and digital attitude control devices. The system implements a programmable electronic sequencer, triple-channel decoupling, dual-parameter controlling, and real-time compensation for measuring error. The Payload Fairing is positioned on top of the stacked vehicle and its integrated spacecraft. It protects the vehicle against aerodynamic, thermal and acoustic environments that the launcher experiences during atmospheric flight. When the launcher has left the atmosphere, the fairing is jettisoned. Separating the fairing as early as possible increases ascent performance. Four different fairing designs are available for the CZ-3B with diameters of 4 meters and 4.2 meters. 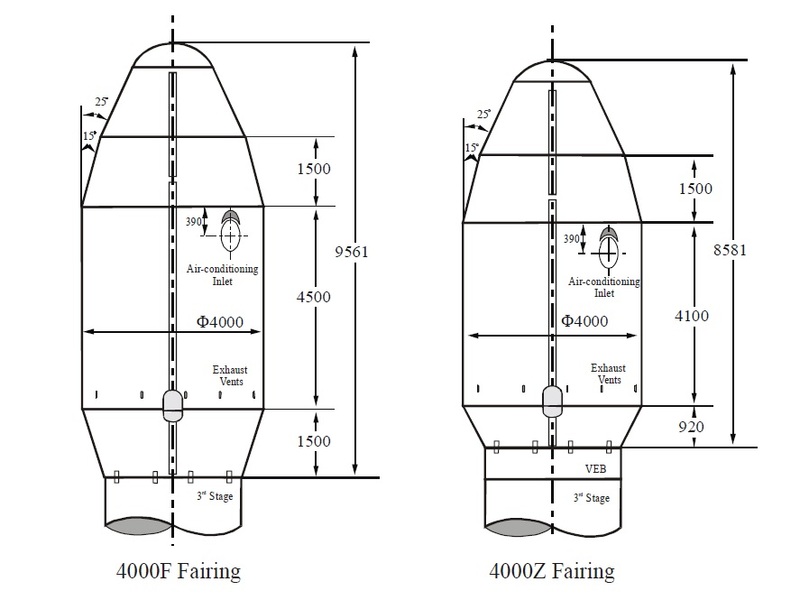 The fairing consists of a reverse cone section, a cylindrical section, two biconic segments and a dome. Fairing air conditioning is provided to maintain thermal requirements of the spacecraft. Also, RD windows and other accommodations can be added to the fairing. The fairing dome is a semi-sphere body that has a radius of 1000mm and a height of 661mm having a base ring diameter of 1890mm. The dome includes a stiffener to add structural stability. The dome shell consists of 8mm thick fiberglass while the base ring and stiffeners consist of aluminum alloy. A silica-rubber wind belt is used to cover the outside of the fairing split line while a rubber seal within the spilt line is compressed to keep the fairing air tight. The biconic section consists of a 25-degree cone that is 1400mm high and a 15-degree cone with a height of 1500. The two sections are joined together and have a base diameter of 4000mm. The cylindrical section, like the biconic segments, consists of aluminum honey comb sandwich materials. The reverse cone section features a top, bottom and intermediate ring and inner stiffeners and chemical-milled skin. This section can facilitate the payload access doors. The fairing is connected to the launch vehicle using 12 non-contaminating explosive bolts that are fired to separate the fairing. The two fairing halves are separated using notched bolts, explosive bolts, and an explosive cord with initiators. Hinges are used to ensure a good outward fairing separation. A variety of different off-the-shelf adapters is available for different spacecraft needs and requirements.